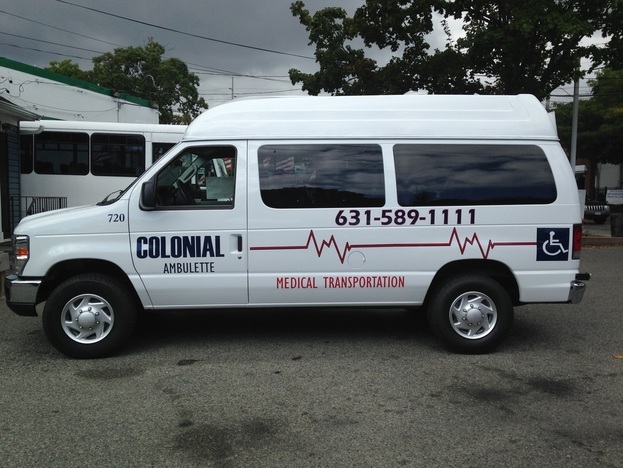 Colonial Transportation provides non-emergency transportation and ambulette services for seniors and people with disabilities in Long Island and beyond. We provide local and long distance ambulette transportation 24 hours a day, 7 days a week, to doctors' offices, airports, train stations, hospitals, holiday visits, family occasions, stadiums, theaters, restaurants, hotels, excursions and more. New, top-of-the-line ambulette vans can accommodate any type of travel requirements: wheelchairs, recliners, extra wide, motorized.